Life as a litigation lawyer can be exciting at times. Food wise, I mean. I get to travel to different towns in Malaysia, some of which I have no idea where they are on the map of Malaysia. Anyway, I travel to Klang Court once in a while and it’s been more than 2 years since I had the Bak Kut Teh in Klang. Klang is arguably the birthplace of Bak Kut Teh, which is basically pork cooked in herbal soup. 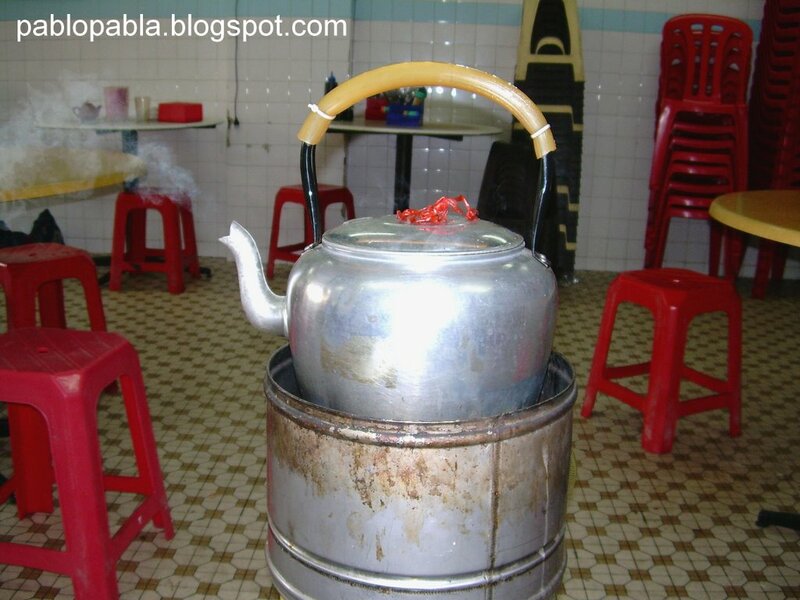 It is so famous that most Bak Kut Teh stalls in Malaysia or even Singapore will have their signboard saying “Klang Bak Kut Teh” to attract customers. Sometimes, the Bak Kut Teh is so forgettable that it is almost sinful for them to associate their so-called Bak Kut Teh with the ones in Klang. So far, I have been to 3 different shops in Klang selling Bak Kut Teh. They are different from one another. Some sell thicker type of soup whilst some are clear. Today, I finished my matter in Klang Court rather early and decided to stop by at the nearest shop for a hearty Bak Kut Teh breakfast! 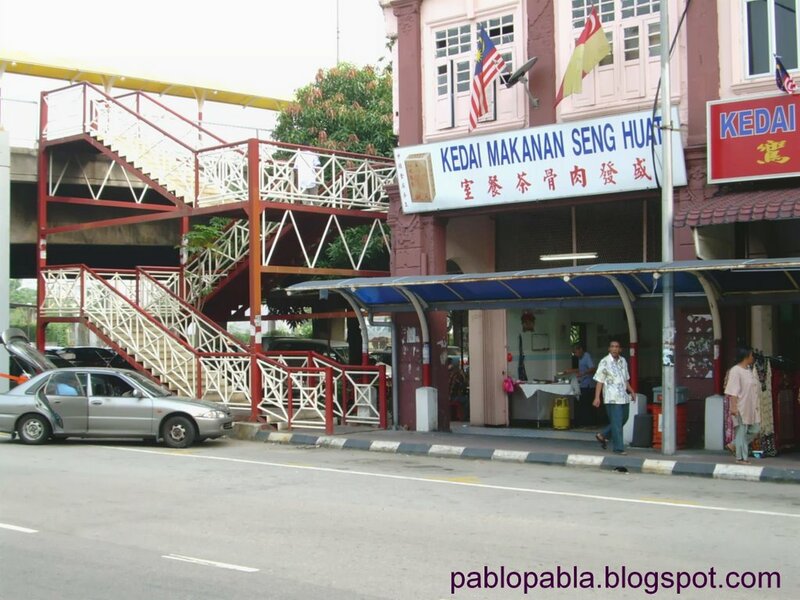 I went to Kedai Makanan Seng Huat which is also popularly known as the Restaurant “Under the Bridge”. 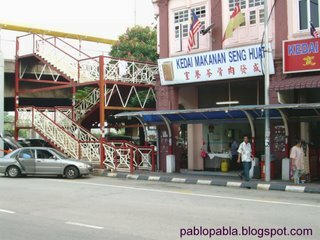 It is located along the same row of shophouses next to the Port Klang KTM station. The other landmark to look for would be the Ibu Pejabat Polis Daerah Klang. Basically, this restaurant is a corner lot. You can either sit in the restaurant or outside the restaurant. Outside meaning, under the overhead bridge. 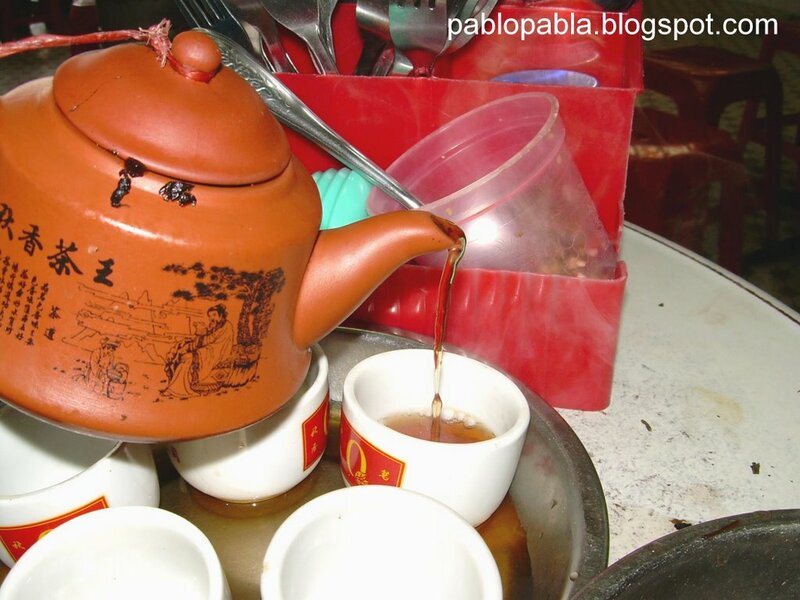 There are 5 really small chinese tea cups with one equally small tea pot for you to brew your tea. Apparently, I was supposed to first put the tea leavs in the pot, pour boiling water into the pot, leave it for a minute and pour the contents into the tea cups. Not to drink, but to rinse the cups as well as to sort of “wash the leaves”. You only drink the second brew onwards. There are many variety of “cuts” of pork that you can choose from : fatty, lean, half-fat / half-lean, ribs, leg, spare parts (meaning intestines, stomach etc). I asked for a half-fat / half-lean portion today together with Yau Char Kuey (flour fritters) and Rice. The rice is mixed with fried shallots for a fragrant taste. Look at the pork leg! The soup is flavourful and has a reasonably strong hint of herbs though not overpowering. The meat is really tender and sort of melts in the mouth as a result of hours of cooking. I should have tried the spare parts as well. The Yau Char Kuey is ordinary. I would prefer it slightly crispier. Perhaps it is due to it being exposed too long. Nothing beats eating Yau Char Kuey shortly after it is fried. Total price for my hearty breakfast is RM12.00. Pretty reasonable considering that’s probably one pork leg I consumed! I am told that this place is open everyday from 7.00am till about 1.00pm. It is then open again at 5.00pm till about 11.00pm. Being an amateur food reviewer, I forgot to get the address as well as telephone number of Kedai Makanan Seng Huat. Pardon me, I was too satisfied by the Bak Kut Teh that I forgot all about it. If in doubt, just ask for the Klang Police Station. You’ll get there! woah this is one of the older Bak kut teh (BKT) shop in klang. Oh HOw I miss BKT! I even like the Dry BKT. Usually people prefer to buy the Yau Char Kuey from another place to get fresh Yau Char Kuey. And the owners dont mind they would even cut it up for you. As you can tell I am from KLang and an avid fan of BKT. I read from Robyn’s blog about a ‘dry’ version of bkt with a new branch in Puchong. Yap Chuan….me thinks. I will be sure to pay famous BKT places in Malaysia a visit during my sojourn. Any recipe for Klang Bak Kut Teh? 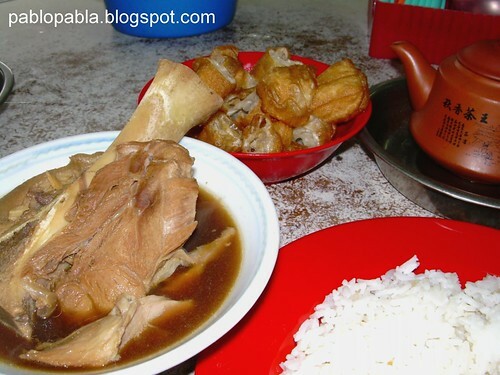 kliceman : Recipe for bak kut teh. hi. i m still having problems locating it. Isn’t Port KLang KTM in Port Klang and the Police HQ in Klang town? i have been looking for this place and yr blog is god sent. Can pls give some more details? dewd its klang ktm station not port klang station mate.that shop is touted to be among the best but a few blocks away,another bkt shop open by his older brother is also one of the real deal there!